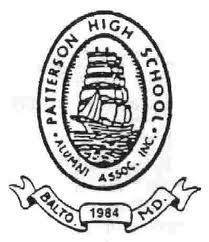 The Patterson High School in Baltimore, Maryland was the place where an alternative educational model was launched in 1994 by the Center for Research on the Education of Students Placed at Risk. This approach was known as the Talent Development High School and is an entire reform intervention. One of its components is dropout prevention. Utilizing the convenience of stacking chairs, this program includes breaking the larger high school environment into smaller learning communities. The school has a separate ninth grade academy; the upper grades have a ‘career academy’ and a “Twilight School” which is an after-school preparatory program in ninth and tenth grade. TDHS puts a higher than usual focus on Math and English courses. TDHS was brought into the limelight by President Obama in a speech he made in March, 2010. Obama called on states to focus on their schools where the dropout rate is 40 percent or higher. These schools could be eligible for federal aid. The President’s budget proposal included $900 million in “school turnaround grants” in addition to the $3.5 billion which his administration already committed to schools which are consistently doing poorly.